In 1868, Thompson went to work as a bookkeeper for William James Carlton, who sold advertising space in religious magazines. 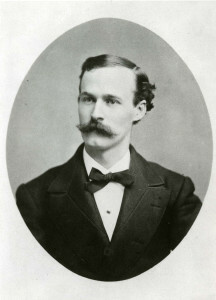 Thompson became an ad salesman for the company, which he purchased in 1877, renaming it the J. Walter Thompson Company. Whereas advertisers traditionally wrote their own ads, Thompson introduced professional copywriting and illustration, the twin cores of modern advertising. Thompson’s company was an advertising giant for more than a century.